Despite the inherent potential of cooperative learning, there has been very little research into its effectiveness in middle school laboratory classes. 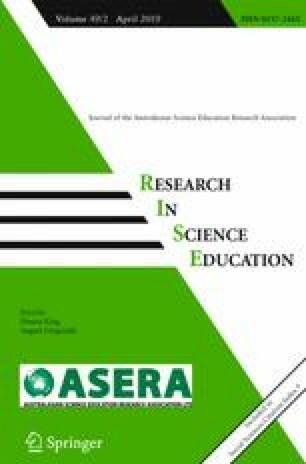 This study focuses on an empirical comparison between cooperative learning and individual learning in the school science laboratory, evaluating the quality of learning and the students’ attitudes. The research included 67 seventh-grade students who undertook four laboratory experiments on the subject of “volume measuring skills.” Each student engaged both in individual and cooperative learning in the laboratory, and the students wrote individual or group reports, accordingly. A total of 133 experiment reports were evaluated, 108 of which also underwent textual analysis. The findings show that the group reports were superior, both in terms of understanding the concept of “volume” and in terms of acquiring skills for measuring volume. The students’ attitudes results were statistically significant and demonstrated that they preferred cooperative learning in the laboratory. These findings demonstrate that science teachers should be encouraged to implement cooperative learning in the laboratory. This will enable them to improve the quality and efficiency of laboratory learning while using a smaller number of experimental kits. Saving these expenditures, together with the possibility to teach a larger number of students simultaneously in the laboratory, will enable greater exposure to learning in the school science laboratory. This study was undertaken with the assistance of the Research Authority at Hemdat Hadarom College. Experiment 1: Addressed the measurement of the volume of a solid in the form of a cuboid. The students were given cubes from which they made a cuboid and measured its volume. The structured experiment sheets instructed the students to name the experiment, define its goal, and describe the tools used and their method. They were also required to answer the following questions: How many dimensions does the cuboid have? How did you calculate the volume of the cuboid and what units of measurement did you use to determine the volume of the cuboid? Calculate the volume of a cuboid whose dimensions are width 5 cm, length 10 cm, and height 4 cm. Experiment 2: Addressed the measurement of the volume of liquid. The students were asked to measure various volumes of water using measuring cups of different volumes. They were given three cups with the volumes 10, 20, and 100 cu.cm3. They were required to determine the measuring range of each cup and the measurement units, and to plan a way of calculating the volume that could be contained in each cup. They also had to determine what was the most appropriate measuring cup for measuring 90 cu.cm3 ,9 cu.cm3, and 19 cm3 of water. They were required to execute the experiment, enter the findings in a comparative table, and draw conclusions. In their conclusions, they were also asked to state two common properties of all three measuring cups and three differences between the cups. Experiment 3: Addressed the measurement of liquid in different containers. In the previous experiment, the students learned how to measure the volume of a liquid. In this one, they examined whether a volume of liquid remains constant. When we transfer liquid from one container to another, does its volume change? The students were given 50 ml of water and three containers: a 250-ml chemical cup, a 100-ml measuring cup, and a 200-ml conical bottle. They were required to plan an experiment answering the above-mentioned questions. They were asked to define the goal of the experiment, write down the method using the containers and materials available to them, describe the results, and draw conclusions. Experiment 4: Addressed the measurement of volume of solids of a defined geometrical shape and without a defined geometrical shape. The students were given three items: a wooden cube, a stone, and a piece of modeling clay. They were also given a tape measure, a measuring cup, and water. They were required to suggest ways of measuring the volume of the three items. After they wrote down the experiment method and the tools and materials needed for the measurement, they presented their proposal to the teacher and received approval to execute the measurement. They then wrote down the results and their conclusions.